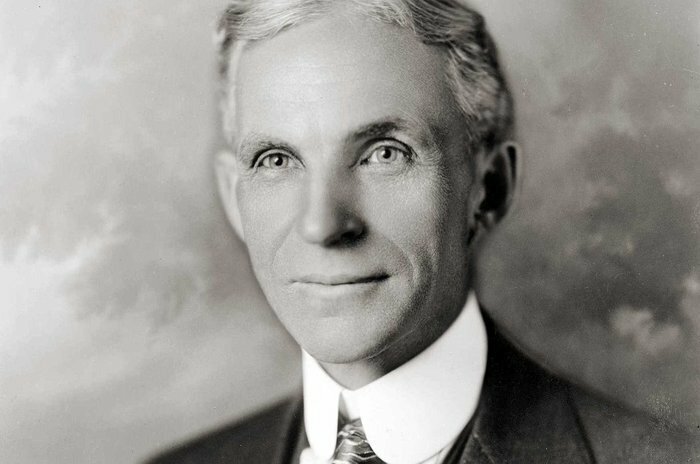 Henry Ford was the founder of the Ford Motor Company, born in July 1863, and died in 1947. Ford developed and manufactured the first automobile that middle class Americans could afford; and he was also one of the first people to start using the moving assembly line as the process for manufacturing vehicles. Many people thought that the moving assembly line wouldn’t be a viable process, and although Ford didn’t invent the idea, he stuck by it, and eventually it became a massive success. Thanks for viewing this collection of Henry Ford quotes! Don’t forget to share them on social media. Which are your favorite Henry Ford quotes? Leave a comment below.